Dark Energy Universe Simulation Series (DEUSS) down to z=0. 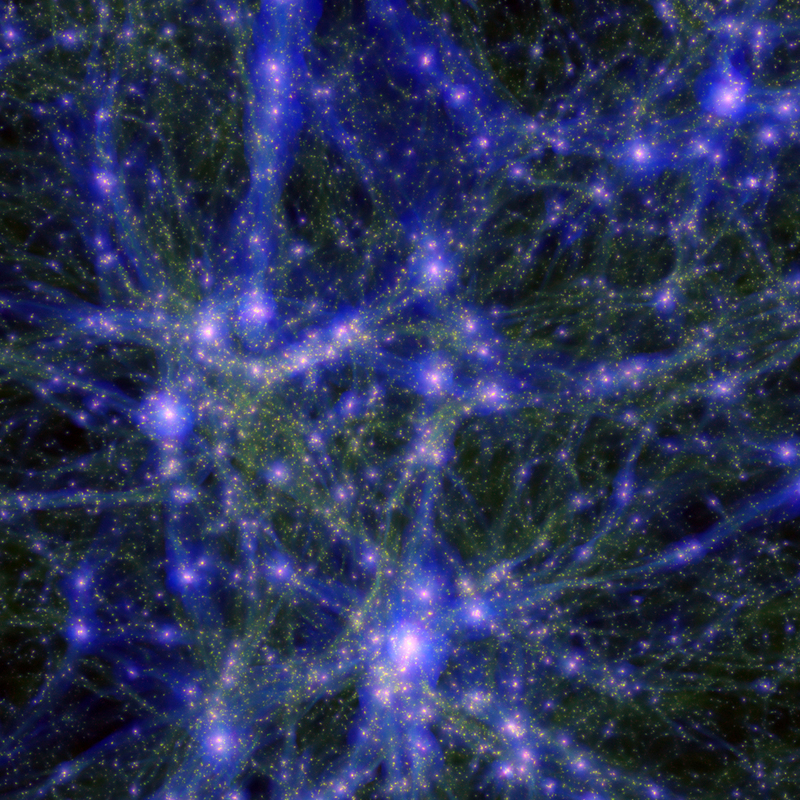 We have completed a series of nine billion-particle simulations for three different dark energy cosmologies. It resolve scale from 4 kpc to 4 Gpc and halo masses from 3.10^10 Msun to 8.10^15 Msun. More info is given here. the GALMER database is now online. The objective of the HORIZON Project is to federate numerical simulations activities with a program focussed on Galaxy and Large Scale Structure Formation. In a context favorable to HPC (High Performance Computing), the PNC (Programme National Cosmologie), the PNG (Programme National Galaxies) and the PAP (Programme AstroParticule), express their needs to stimulate and coordinate individual efforts in HPC among each domain. The HORIZON Project was build on several research teams in different institutes. The scientific objective is specifically oriented towards studying galaxy formation in a cosmological framework. Its transverse and federative nature will however allow to develop in a few years high-level expertise in parallel and distributed (GRID) computing, in database management and virtual observations, in applied mathematics and computer science, and build in the same time a strong theoretical knowledge in astrophysics.